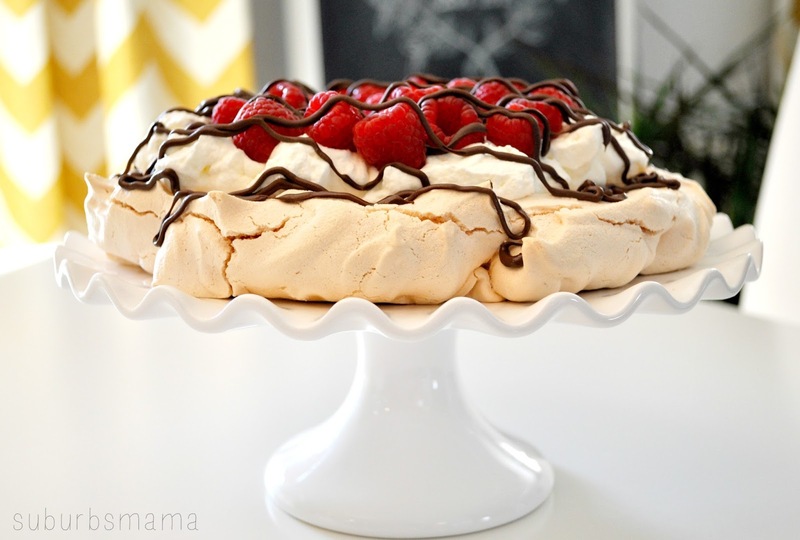 Pavlova cake is a meringue cake that has a light and delicate crisp crust and a soft sweet marshmallow center. This lovely dessert is typically served with softly whipped cream and fresh fruit. We all love this cake, especially my daughter, now even more since I told her that this dessert was made after Anna Pavlova the Russian ballerina. The best part is that is is super easy to make, yet it looks and tastes amazing. Preheat oven to 300 degrees F. Line a sheet pan with parchment paper. Draw a 9 inch circle on the parchment. Spread a layer of meringue to fit circle on parchment, approximately 1/4 inch thick. Bake at 300 degrees F for 1 hour. Turn off oven, but leave meringue in oven for an additional 30 minutes. When cool, the meringue should be hard on the outside, and slightly moist on the inside. In a large bowl, combine the cream and half a cup of confectioners sugar, and whip until thickened. 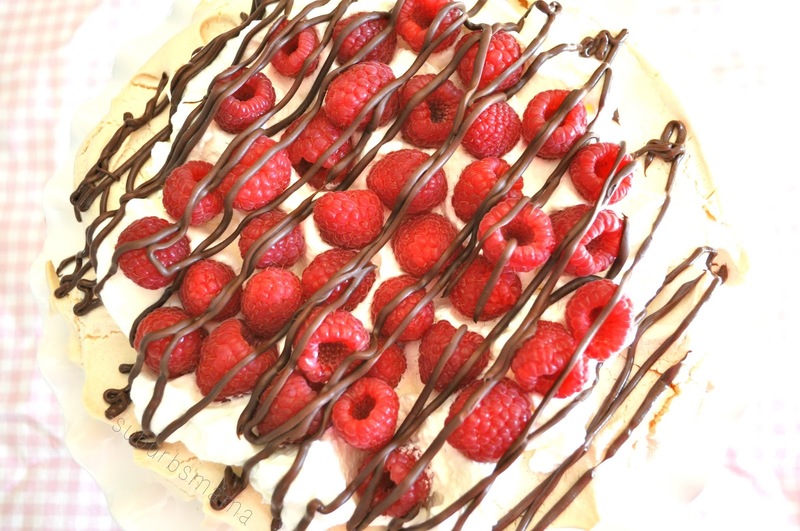 Spread cream over the meringue cake and decorate with fruit of your choice.